Can you believe that the longtime chocolate makers/food and beverage giants have now gone into the beauty biz?!! Yes, it's true. 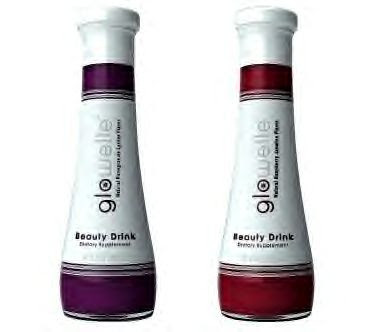 Nestle has introduced a beauty drink called, Glowelle. Nestle claims their drinkable fountain of youth will deliver" nourishment and hydration to the skin." And it also works overtime to fight the signs of aging. Glowelle Rapsberry Jasmine and Glowelle Pomegranate Lychee. Each bottle costs $7. High-end department stores like Bergdorf Goodman and Neiman Marcus have already stocked up on the anti-aging fighters. And both stores have been handing out free Glowelle samples to passersby. And so far, some women say the drinks are just not palatable. One women claimed the drink tasted like watered down perfume. One tossed hers down the drain. Another said to stick only to the Pomegranate Lychee, and not to even try the Raspberry Jasmine. Gee, are these Nestle beauty drinks that awful? You would figure that the chocolate kings could come up with a smoother-tasting beauty beverage? Well, we've all heard this one before: "You must suffer to be beautiful." Directions say, to drink one Glowelle bottle a day for a month, to see a difference in skin. That runs up to $210 a month, according to my math. Yikes. For more information, Nestle has created a website for their new anti-aging drink. Visit: http://www.glowelle.com/. Is this for real? Is n't Nestles making enough money with all that chocolate? They could of at least made the drink a chocolate flavor. Don't ya think? 7 bucks is alot of money in this bad economy. No thanks.